I’ve long maintained that the best way to keep people interested in an MMO is for them to have friends to play with. You can do that by finding a guild and making new friends, but that can be tough in a new game. Better instead to get one of your current friends into the game, but that can be tough when the game is in beta and gated by a paywall. 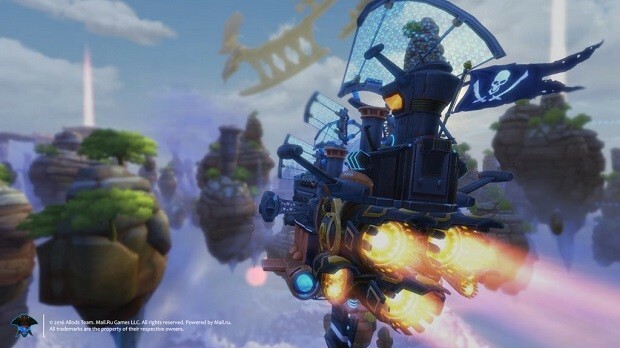 My.com has seen the light, though, and now allows owners of Founders Packs for Cloud Pirates to invite a friend to play along with them in the game’s closed beta test. As detailed on the Cloud Pirates site, Founders Packs owners can check their profile pages for one to three codes — depending on which pack they purchased — that they can give to whomever they want to join them in the game. If you haven’t already purchased a Founders Pack for Cloud Pirates, you can do so here. And don’t forget to invite some friends along for the ride! Prepare for pay to win shi t from scammers ! I’m not personally a fan of this tatic they are doing but it’s pretty nice of them to do this. When black desert online was releasing they give you a guess pass so your friends can try the game out. But cloud pirates at least it’s unlimited and this game looks worth trying out from the looks of it. Oops I put the other version of guess I ment to put guest pass my bad.